Three retro characters are currently enjoying new life on the big screen. 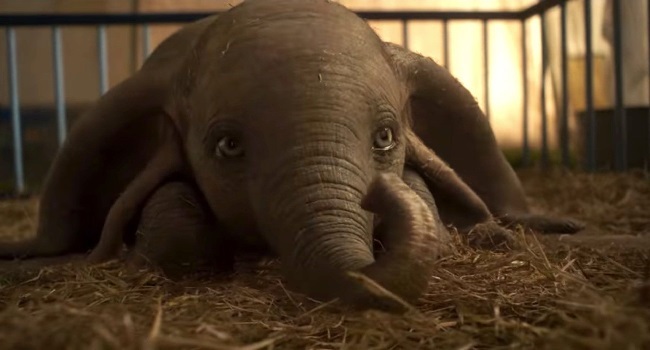 Disney's Dumbo is making his first appearance since 1941 as a CGI creation in a live-action setting. DC Comics' Shazam (a.k.a. the original, male Captain Marvel) is similarly being seen in cinemas for the first time since 1941, when he headlined in his own serial. And then there is the biblical Mary Magdalene, who is getting her own star vehicle for the first time after basically playing a supporting role for 2,000 years (although there have been a handful of TV movies about her). What connects these seemingly disparate protagonists is their ability to fly, if not physically then spiritually. Let's start with Mary Magdalene, opening in US theaters this weekend just in time for Palm Sunday. The film is significant for finally setting Christ's female apostle free from more than a millennium of false representation. During his 10th-century reign, Pope Gregory falsely identified Mary of Magdala as a prostitute forgiven by Jesus in Luke's gospel. 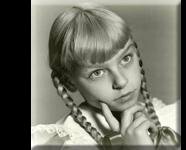 More recent scholarship has indicated she was likely a wealthy benefactor who supported Jesus' ministry. At any rate, she is mentioned in all the gospels as being devoted to him (though not romantically, despite more modern assertions made in Jesus Christ Superstar and The Da Vinci Code) and as the first witness to Christ's resurrection from the dead. 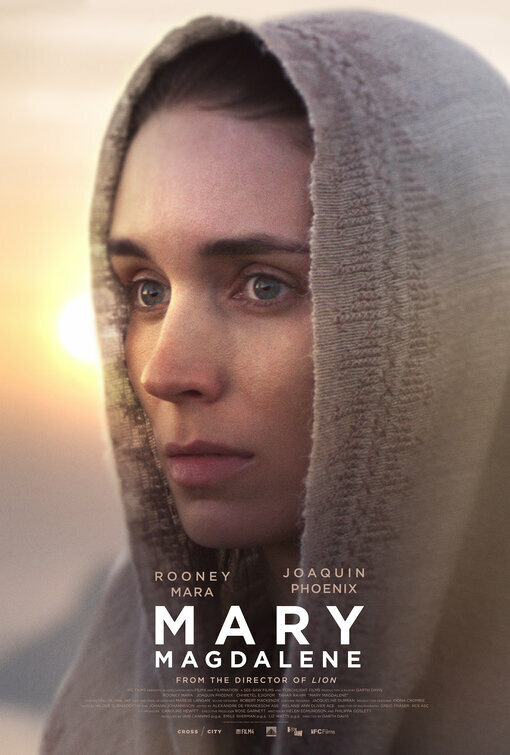 A luminous Rooney Mara (Carol, The Girl with the Dragon Tattoo) stars as Mary in this new movie, with big-name support provided by her fellow Academy Award nominees Joaquin Phoenix as Jesus and Chiwetel Ejiofor as the apostle Peter. It begins in the year 33 in Mary's fishing village home, where the young woman is shown as adept at delivering babies, catching fish and cleaning her family's home. In keeping with Jewish tradition, her father is preparing to marry her off. Mary rebels, sensing an inner call to "know God" intimately. She is subjected to an exorcism for her refusal but soon after feels her prayers have been answered when she meets an increasingly renowned, itinerant preacher from Nazareth named Jesus. Jesus accepts Mary as a member of his band of all-male apostles, which naturally causes controversy among them. As directed by Garth Davis (who previously helmed the Oscar-nominated Lion) and co-written by Helen Edmundson and Philippa Goslett, Mary Magdalene applies a political-feminist approach to its scriptural tale that will be welcomed by many but likely abhorred by the religious right. I found scenes showing Mary baptizing new believers and joining her brethren at the last supper dramatically refreshing as well as more historically accurate than previous depictions of this saint's role in Christ's earthly life. Jesus is also shown as a champion of gender equality, telling a group of skeptical Canaanite women "Your spirit is precious to God, as precious as your husbands'." His apostles are also a more racially-diverse group than usual. It is beautifully photographed by Greig Fraser (Rogue One, Vice), with lots of wide angle views of its Italian and Australian landscapes, which are subbing for the Holy Land. The entire movie looks, sounds and feels authentic in a way that most prior biblical epics with bigger budgets have not. Although Phoenix is technically too old at 44 to play the 30-ish Jesus, the actor is nevertheless effective, intense and earthy. I liked that he often looks at Mary and his apostles with a quizzical look, like Jesus is trying to figure out what human beings are all about. Ejiofor is similarly strong as a politically-motivated, conniving pre-saint Peter. Mary Magdalene serves as an impressive source of inspiration this Easter season. Disney's "re-imagining" of its animated classic Dumbo, now in theaters, is directed by none other than Tim Burton. On one hand, this isn't surprising given the filmmaker's longtime affection for outcasts, freaks, and circus trappings. 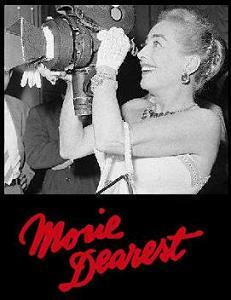 Many of his previous movies have indulged these to greater or lesser extent. On the other hand, Burton hasn't really directed a kids' film before; even his live-action remake of Disney's Alice in Wonderland was more adult-leaning. Dumbo ends up being a somewhat uneasy film, too charmingly simple at times for older viewers while occasionally too dark and scary for young children. The title pachyderm with unexpectedly oversized ears is born to his mother in a circus and soon learns he can fly thanks to his "deformity," but that's about all that the plots of the 1941 original and this remake have in common. 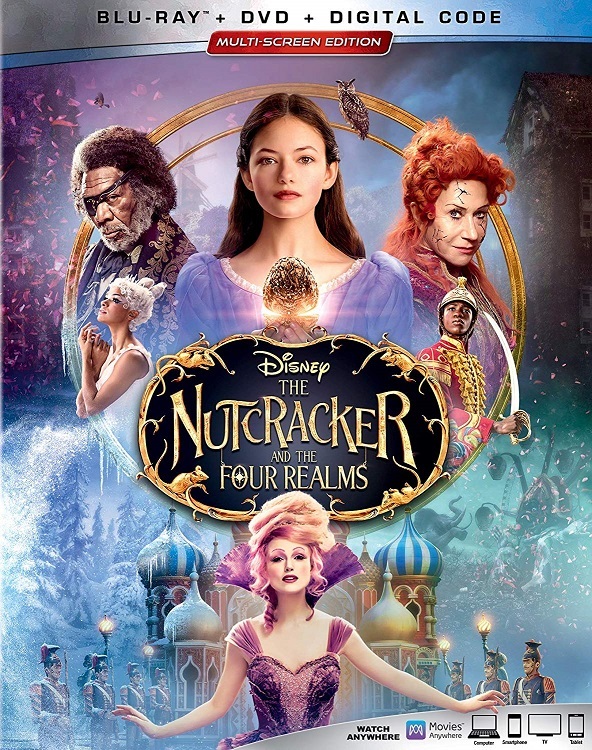 Burton reunites his Batman Returns alumnus Danny DeVito and Michael Keaton as, respectively, the owner of Dumbo's small circus struggling to make ends meet and the greedy owner of a (surprisingly Disneyland-like) amusement park out to exploit Dumbo for all the elephant's "disability" is worth. 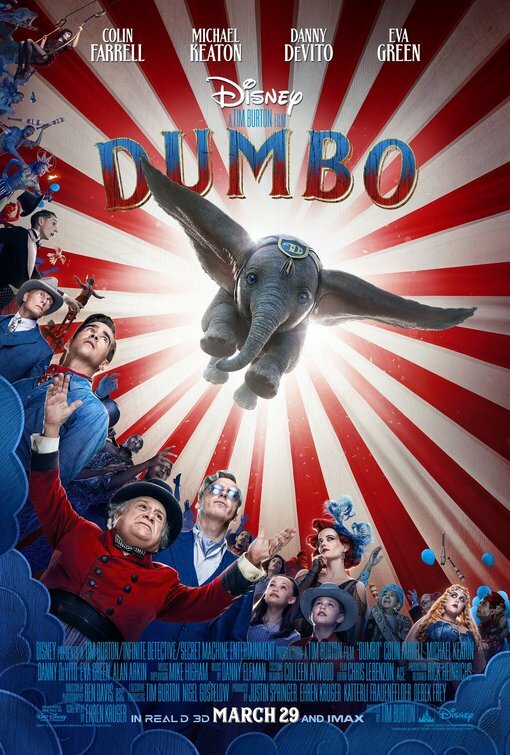 Meanwhile, two children and their disabled war-vet father (played by Colin Ferrell) commit themselves to protecting Dumbo and reuniting him with his mother. There are no significant human characters in the original Dumbo, and for good reason. Uncle Walt himself knew that the simple story was best told from the animal's perspective. In the remake, Dumbo is more often than not a bit player in a movie that should be focused squarely on him and his plight. He is adorably rendered by CGI; I especially enjoyed the "Pink Elephants on Parade" scene wherein he bops his head along to the music. That song, the Academy Award nominated "Baby Mine" and snippets of "Casey Jr." and "When I See an Elephant Fly" are the only musical bits carried over from the 1941 movie (which won the Oscar for Best Scoring of a Musical Picture for Disney legends Frank Churchill and Oliver Wallace). Moments where Dumbo almost falls to his death as well as scenes set in the amusement park's "Nightmare Island" are sure to frighten sensitive kids. That being said, a 4- or 5-year old girl who I didn't know was seated next to me at the screening I attended. As soon as the movie ended, she turned to me and asked "I loved that, did you?" Apparently, not even Burton's approach can prevent Dumbo's story from resonating with children and the young at heart. 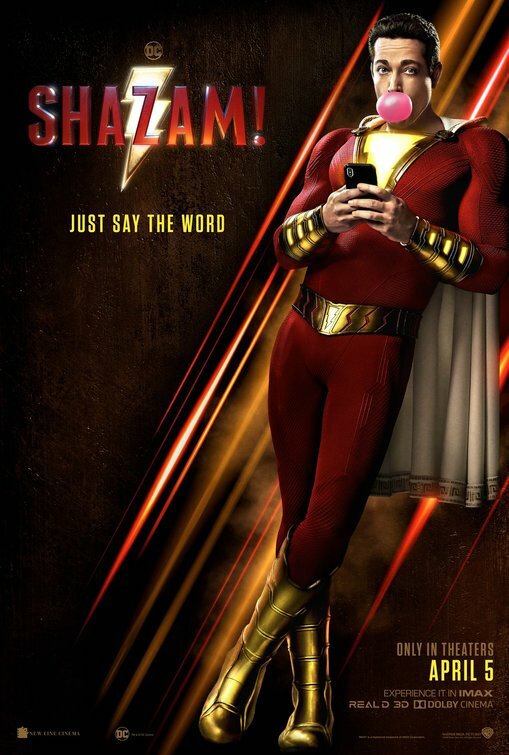 Shazam!, meanwhile, is DC's latest effort at expanding their cinematic universe and making gobs of money in the process. This lesser-known character is perhaps best-known to those of us who grew up during the 1970's, when he was the subject of a Saturday morning TV series. The comic book plot of a young boy who can become an all-powerful superhero simply by uttering his name obviously has great, wish-fulfilling appeal for kids, then and now. The single best asset of this new, big-screen adaptation is the immensely enjoyable performance by Zachary Levi in the title role. He is not only physically perfect, partly thanks to an enhanced form-fitting suit, but sports the wide-eyed exuberance of a 14-year old suddenly granted super-human strength, the ability to fly, and more. It isn't long before his new powers are tested by the evil Dr. Sivana (Mark Strong, who is frequently cast as comic-book villains), a formerly unappreciated youth who has become imbued with the Seven Deadly Sins and is out to destroy the world. Shazam! is uneven in tone, with lighter comedic scenes duking it out for dominance over darker, excessively violent scenes. Its also overlong at 130 minutes, especially during a seemingly endless final battle scene. But, as its box-office performance is showing, there is no denying the power this character and movie have when it comes to helping underdogs feel empowered.